I’ll bet my right leg many of you out there use Trello for some sort of project management, especially those in Web land. We even use it to organize the tutorials you read at Tuts+. 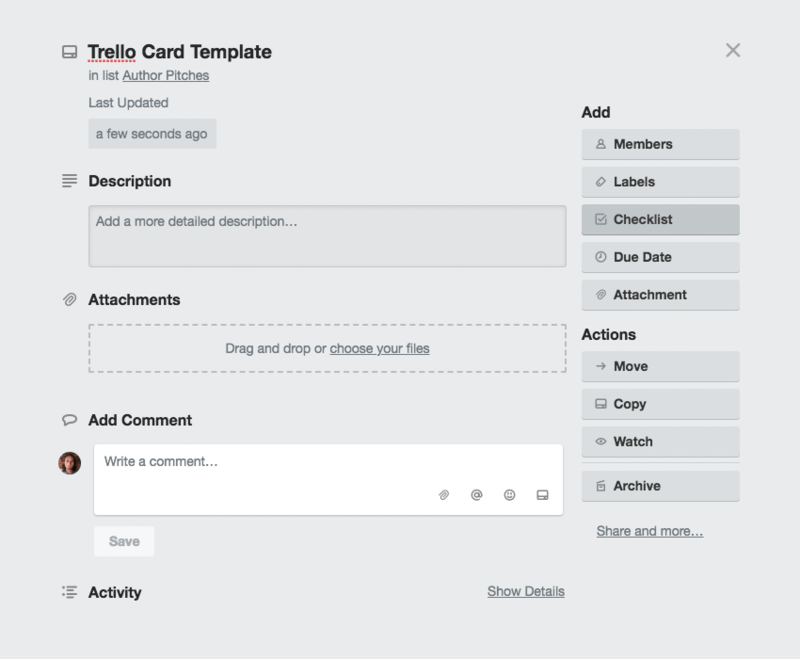 If you are using Trello, here’s how you can maximize efficiency using checklists and master card templates. This copy feature will let you…wait for it…copy your master template to anywhere your heart desires, whether it be another board, or even a different list. The world is your oyster, but things are about to get way cooler with checklists. Checklists can be copied from any card, and you can add as many checklists to a card as you want. You can include a checklist on your master card template, or you can store all your standard checklists on a card of their own, so that they can be copied to any new cards you make. If you have a Trello board with lots of cards, it might be difficult to filter through the list when you’re copying a checklist across. It’s therefore a good idea to name your checklist card something like _checklists. The underscore will ensure it’s always at the top of the list, so you needn’t scroll. Once your checklist is added, you can add or remove items from it any time, without fear of altering the template. 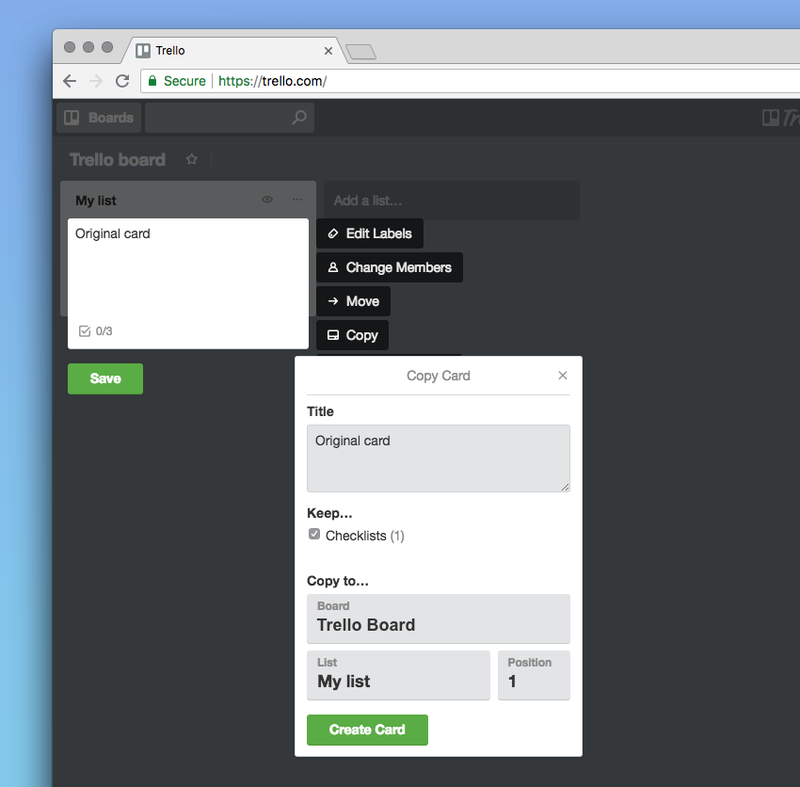 This makes Trello checklists extremely robust. That’s all for this quick tip! If you want to “check” out checklists, you can read more in Trello’s documentation. If you want to know how to create master card templates you can read more on this page. Now go forth and be efficient with Trello!